VIGAN CITY ▬ Before the coming of the new year, I took the last walking tour in Vigan at night to observe what's going there 2 hours before 12 midnight of January 1, 2014 and these are what I found. 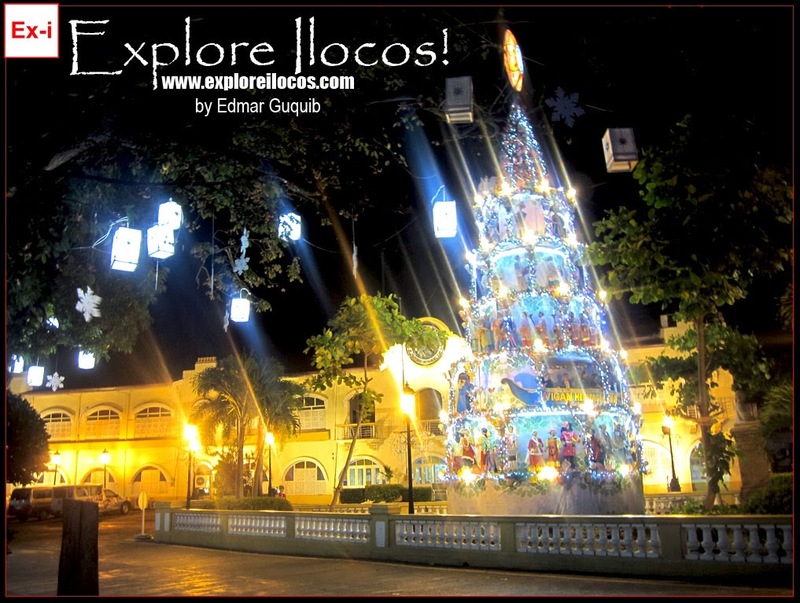 Vigan City Hall: The city hall of the heritage city continues to exude with elegance at night. Around the area is very quiet. It seemed like the people are already within their homes waiting for the new year to come. Simbaan-a-Bassit: Bustling Quezon Avenue's end to the south is the Simbaan-a-Bassit. Before the New Year 2014, I saw several Muslim torotot vendors in front of the church. Some buyers drop along Liberation Blvd. to buy. Arzobispado Nueva Segovia: The Philippines' oldest surviving archbishop palace offered a laid back ambiance before the New Year. There was no crowd. The most noticable thing are the parol (decorations) hung at it's facade. Vigan Metropolitan Cathedral: The most crowded place I've been during this final night walk in Vigan is the Vigan Cathedral because the last mass for this year has just been done. When I reached the church, the people are already going out from the church while some are enjoying their last night for 2013 taking pictures in front of the cathedral. Vigan Belfry: The belfry is always amusing although it was not decorated with Christmas decorations. Plaza Burgos: The crowded Plaza Burgos became so quiet. I only saw few people taking pictures of themselves. The people might have been already preparing for the New Year's eve at the comforts of their home. Calle Crisologo: The famous Calle Crisologo is beyond charming. I saw several tourists, both local and foreign enjoying their last night of 2013 in Calle Crisologo. JTC Fire Protection Team: I also noticed the Fire Protection Team of JTC parked near the JTC Supermart. They are ready for the New Year. Firecrackers are prohibited in Calle Crisologo but they are prepared, just in case. Plaza Salcedo: The Plaza Salcedo was quiet. The fountain show is done. These are the things I saw during my final walk in Vigan for 2013. It was done 10pm. That is 2 hours before 2014. Happy New Year Ilocanos!